Removing mold stains from laundry is definitely a chore that we would all willingly avoid. Getting rid of them is hard work and anything but easy. By using tips and tricks, however, it is possible to remove them so they do not make the rest of the laundry. What techniques can be adopted? Are specialized detergents always necessary? 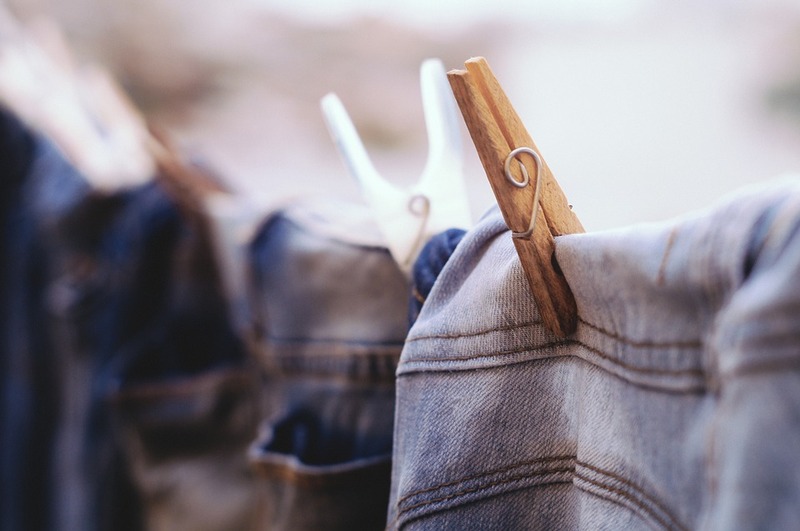 Whether on denim, leather, synthetic textiles, wool, cotton and even fur, be it natural or synthetic, there is a grandmother’s remedy to help us remove mold stains from cloth. Borax powder is an alternative to using bleach to remove stains from fabric. It is effective in removing stains but also in neutralizing odors (especially the smell of urine). Be aware that this miracle product can also be used to prevent proliferation of cockroaches and fleas. How do you remove mold with borax? Firstly, don’t forget to wear protective gloves. Then all you have to do is completely clean the linen using a sponge, hot water and borax. A half-cup of borax is enough for two cups of hot water. Leave the laundry to soak in this solution or rub stains one by one using a rag soaked with the mixture. WARNING: Since November 6, 2008, boron salts are classified as toxic. Read the instructions carefully so as to use safely. Apart from dressing salads, white vinegar is excellent for removing oil stains, chocolate or blood stains from clothes or tablecloths. Using a brush or a toothbrush, spread this vinegar on your jeans, heavy fabrics or clothes and then rinse; it works like magic! Ammonia is easily the best remedy to save our clothes and remove any kind of stain. Of course, some precautions are necessary before using because, whilst ammonia is effective, it can also be dangerous. Do the washing outdoors or in a well ventilated area and avoid breathing in the fumes. To apply, pour it on a rolled up cloth, rub the stain and then wash in a machine. Sometimes tips are not enough, especially if the stain is several days old or if you need to clean the covers of your couch or your car upholstery. In these cases, you need to resort to professional cleaners. How can you protect your laundry against mold? Mold can be prevented. Remember that it is entirely possible to protect your laundry from this inconvenience. Mold is generally caused by moisture. Therefore, we need to discover what is causing humidity in the environment and treat the problem at source.